Japanese people are on average a little bit smaller than your typical Westerner. Although this is an often-exaggerated cultural stereotype, there is some truth in it. Try finding a pair of size 12 shoes in Japan! Therefore, as you might expect, clothing made for the Japanese domestic market tends to reflect this. 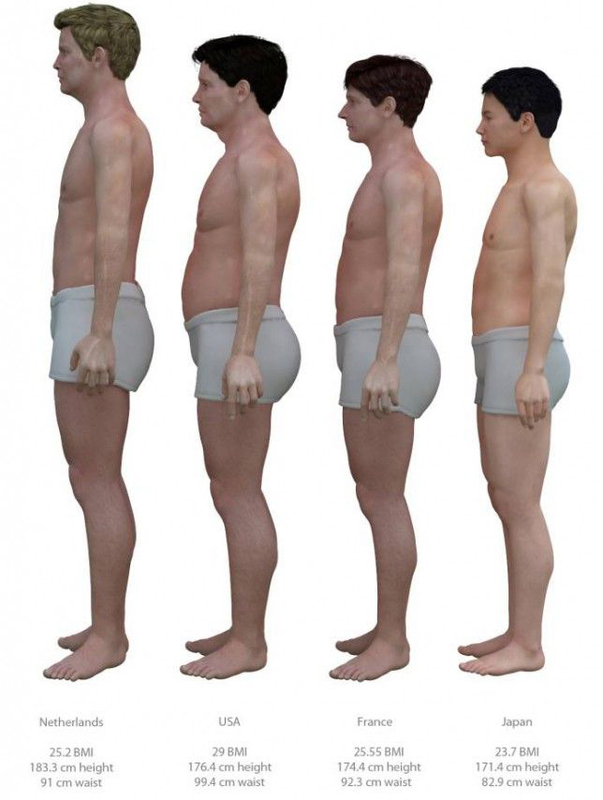 The graphic below shows the difference in average body shape between nations. On the other hand, much Japanese high-end designer clothing is made with an eye towards the Western market. Furthermore, just to complicate matters, many of the top Japanese designers are renowned for experimentation with innovative cuts and over-sizing. All of this makes purchasing Japanese-made fashion a bit of a minefield, especially when buying online. However, have no fear – we at Nippon Couture are here to help! 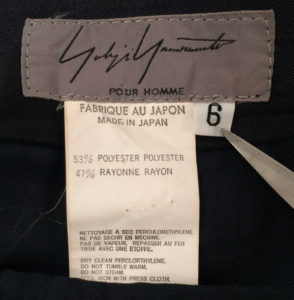 Japanese couture fashion houses such as Yohji Yamamoto, Issey Miyake and Comme des Garçons, using two main sizing systems. However, it’s noteworthy that the scales used do differ brand-to-brand. 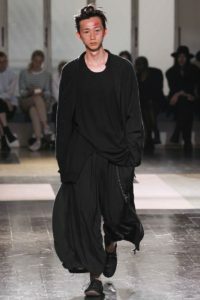 Yohji Yamamoto and Issey Miyake both alternate between a Japanese number-based system and the Western S/M/L/XL/XXL scale. Older pieces from both designers almost always utilize the the Western system. More recent items tend to use the numerical system. This number-based format has sizes scaled between 1–6 (although 6s are quite rare). Very roughly speaking, Size 1 equates to XS, Size 2 – S, Size 3 – M, Size 4 – L, Size 5 – XL and Size 6 – XXL. Comme des Garçons have kept things simple, so they just use the Western alphabet-based system. Please note, the scale is not necessarily the same. For example, a Japanese M can fit a little more like a Western S. However, it really does vary, depending on how the designer envisaged the piece being worn. Also, it depends where it was made to be sold. 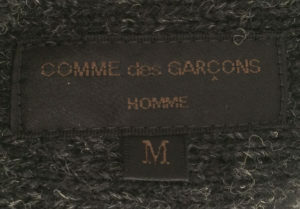 For example, Comme des Garçons Homme is a line predominantly sold in Japan. Whereas Comme des Garçons Homme Plus and associated lines are aimed more at an international market. What does this all mean? 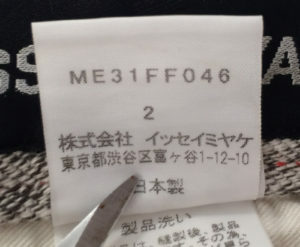 Well, when buying Japanese clothing online – or any clothing for that matter – it’s absolutely crucial to check measurements to ensure the piece will fit as desired. At Nippon Couture, we always suggest comparing measurements to an item which you own that you know fits well. If you’re buying new from an online shop, most provide a sizing guide. Beware though. as these can be a little misleading because they’re are often based on some fairly rough comparisons. 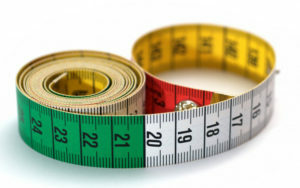 eBay-based sellers like us generally offer some measurements too, but measuring methods do vary. It’s not always clear how a seller has measured-up an item. For details on exactly how we measure items at Nippon Couture, check out this guide. Many couture designers (especially the Japanese early avante-guard) explore the way in which we wear clothes. Over-sized designs are common. 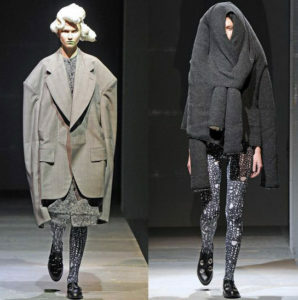 In a rejection of highly tailored clothing, designers such as Rei Kawakubo, Yohji Yamamoto and Issey Miyake, have all experimented with subverting conventional sizing. I once had an over-sized garment altered to fit – big mistake! 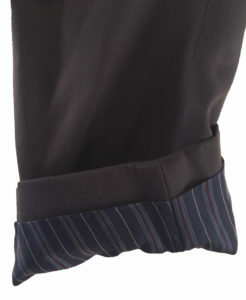 This piece, a dark grey lightweight Issey Miayke Men jacket, had extra-long sleeves. I loved the look, but the sleeves went over my hands. Without pausing for thought, I had a tailor alter the sleeves to where I usually like my cuffs to come down to (just above the thumb with straight arms). Only on reflection did I contemplate why the jacket’s cuffs were buttonless and how lovely the lining on the sleeves was. I realized that this jacket would have looked great with the sleeves rolled up! Whist I could technically still do this, it would never be quite right. I still love the piece, but I wish I’d had greater faith in the designer’s intentions. It can be a little daunting to wear over-sized clothing. 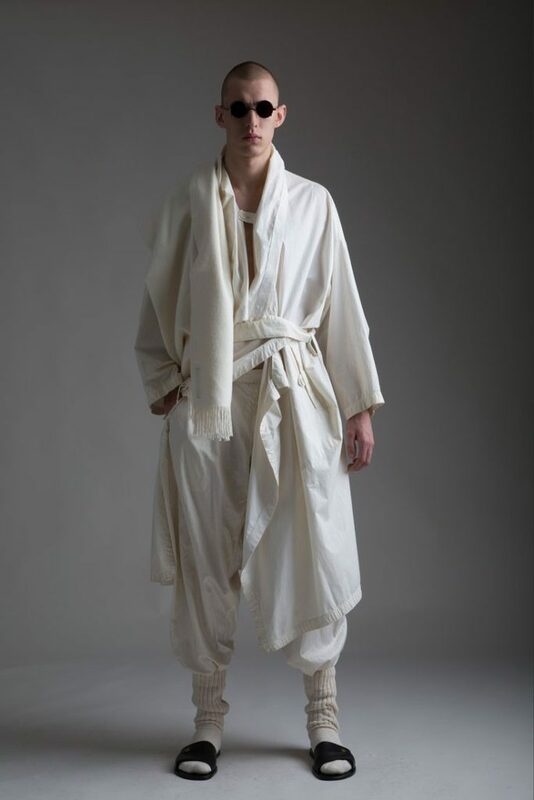 Baggy trousers, big billowing coats, long-cut tees, all require a certain degree of confidence to pull-off. However, for the sartorial dresser, subverting the norm can provide a perverse pleasure. See more in our eBay store ! 2019 © Nippon Couture. Crafted with love by SiteOrigin.